A video has emerged on Facebook of a massive human slingshot between two buildings in Dubai. The post was initially shared by Zayna Al-Hamarneh and has since gone viral with over 75 thousand views. The general consensus is that the short clip is doctored but we’d love to hear your thoughts. Tell us what you think by commenting below, using #360fans on Twitter or getting in touch via Facebook. Removing on-field umpires can eradicate human error but should we go down that road? 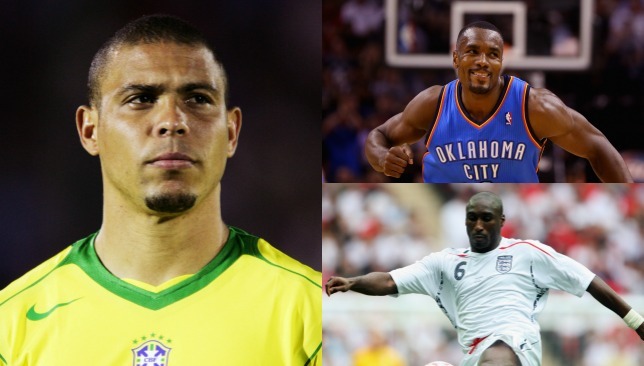 (Clockwise): Serge Ibaka, Sol Campbell and Ronaldo Nazario. Before Cristiano Ronaldo rose to fame and became one of the biggest sports stars on the planet, there was the one and only Ronaldo. The Brazilian “El Fenomeno”, who turns 40 today, is one of the greatest footballers of all time. He won the FIFA World Cup twice with Brazil as a teenager in 1994, and again in 2002, where he scored twice in the final en route to scooping the Golden Boot award as tournament top scorer. He was also part of the Selecao squad that lost to France in the 1998 final. Ronaldo is a three-time FIFA World Player of the Year and two-time Ballon d’Or recipient. He is the second-highest goalscorer for his national team with 62 goals in 98 matches. At club level, Ronaldo was part of Real Madrid’s “Galacticos” who won two La Liga titles in 2002/03 and 2006/07. He also starred for Barcelona and Internazionale. 1971: Lance Armstrong, disgraced US cyclist, who was stripped of his seven Tour de France titles for doping (45). 1974: Sol Campbell, ex-England international footballer. Defender who played for Tottenham and Arsenal (42). 1977: Kieran West, British rower, who won an Olympic gold medal in Sydney 2000 (39). 1989: Serge Ibaka, Congolese-Spanish NBA player, who plays for the Orlando Magic (27). 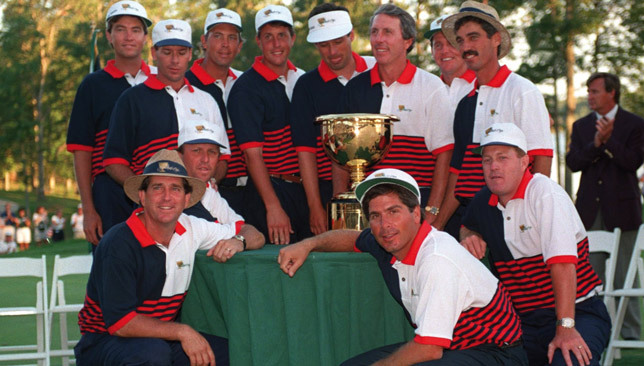 On this day 22 years ago, the inaugural Presidents Cup was concluded at the Robert Trent Jones Golf Club in Virginia, USA. The US Team, captained by Hale Irwin, defeated the International Team, captained by David Graham, 20-12. The honorary chairman was former President of the United States Gerald R. Ford. The outcome was decided in Sunday’s singles when Fred Couples hit a 9-iron on the 18th hole from a fairway bunker to 18-pre-Shotlink inches, beating a weary Nick Price (who had taken over the world No. 1 ranking after winning both the Open Championship and PGA Championship in an exhausting summer), 1 up. 1925: American Bill Tilden captures a record sixth consecutive US Open tennis title. 1971: The US team, captained by Jay Hebert, win the Ryder Cup at the Old Warson Country Club in St. Louis. 1997: The first test to feature three pairs of brothers in one Test team kicks off in Harare. Andy and Grant Flower, Bryan and Paul Strang, and Gavin and John Rrennie played for Zimbabwe against New Zealand.